A child of about six in the war, Ewerdt Hilgemann searches through the rubble of the bombed ruins of his hometown Dortmund for shrapnel. He finds them interesting, exciting too, these sharp-edged metal splinters. Forty years later, and now an artist, Hilgemann works in the marble quarries of Carrara (1975-1985). A truck transports a perfectly sawn one and a half metre cube of marble that he has carefully polished, to the top and then with a thunderous crash sends it toppling off the steep mountainside. And a marble sphere of a similar size, polished to a perfect sheen, has explosives inserted and is then blown up. Both conceptual ‘performances’ are recorded on film. The artist creates perfect forms, which are then deformed using forces of nature: a sort of reverse creative process. Thirty years later, in the summer of 2014, Hilgemann exhibits his Magnum Opus. In response to an invitation from the City of New York he places a series of implosion sculptures on Park Avenue. ‘Dancers’, ‘Triples, ’Flowers’ and ‘Cubes’, six metres high, gleaming in the sun, the deformed surfaces of these Titans of steel distort and reflect the overwhelming architecture of the buildings on each side of Park Avenue. 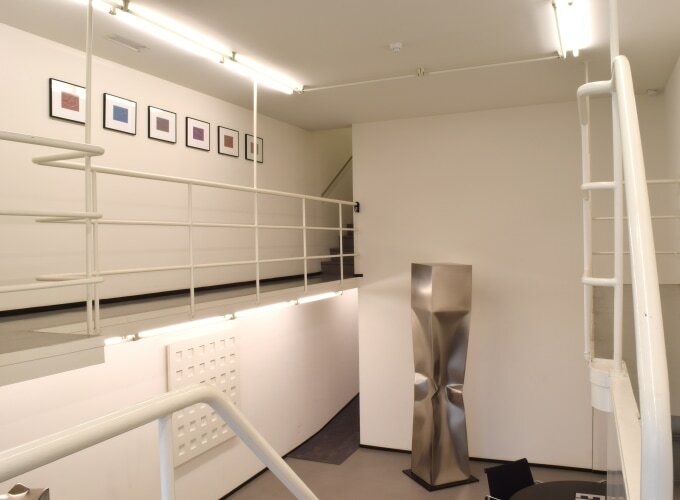 From his earliest days in a devastated Dortmund to the Park Avenue manifestation in New York, Hilgemann has been consistent in his fascination and his art. In his own words: “To deform a perfect shape without me hammering on it”. From the start the cube and the square are his best-loved shapes. Hilgemann studies and comes to understand these solid forms. He learns it at the Saarbrucken Art Academy under his tutor Oskar Holweck. (In 1958 Holweck had joined the Zero movement, founded that year by Mack and Piene). Here the young art student Hilgemann learns to respect material and form in their most elementary states. Plasticity is achieved through the effect of light on the surface and the - mathematic - interventions performed thereon by the artist. In 1970 Hilgemann and his wife Antoinette settle in Gorinchem and here a close friendship develops with Ad Dekkers, Marinus Boezem and herman de vries. In these days Gorinchem is apparently a hotbed for avant-garde art. 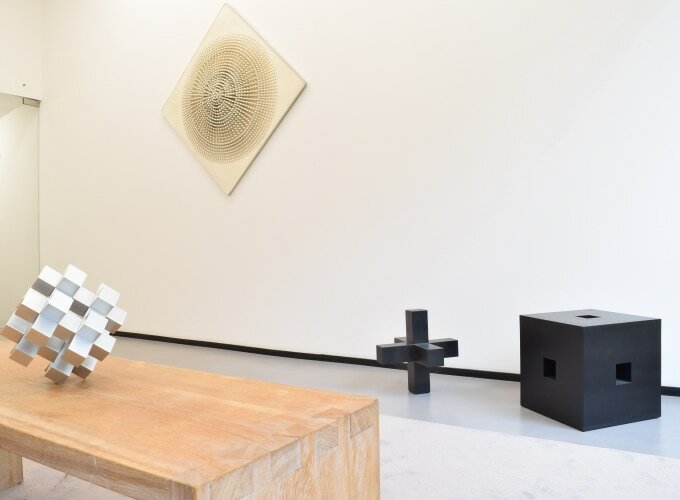 Irritated – provoked even – by a conservative artistic climate in this small town on the River Merwede, these artists discover common ground for their minimalistic and conceptual ideas. Their haven at the time is Riekje Swart's legendary Amsterdam gallery. 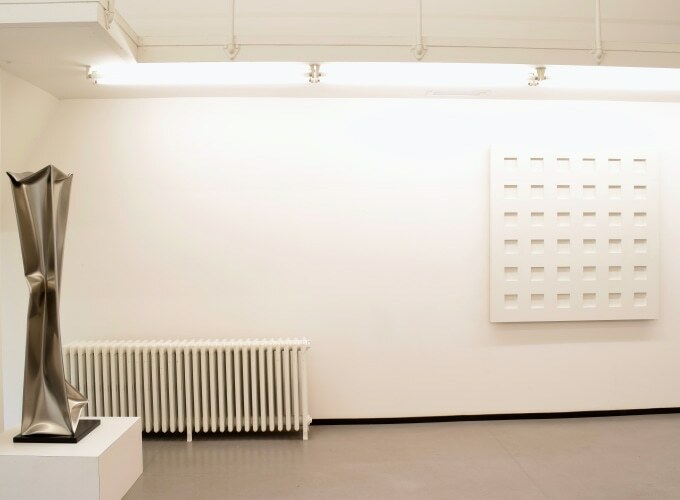 Hilgemann exhibits his white objects oriented according to mathematical studies here from 1966. In 1973 the four artist friends - and their partners! - take the initiative for a much discussed and now legendary symposium, whereby the town wants to be a centre for "examining the position of the visual arts in our society". Fifteen European artists stay together in Gorinchem for six weeks. 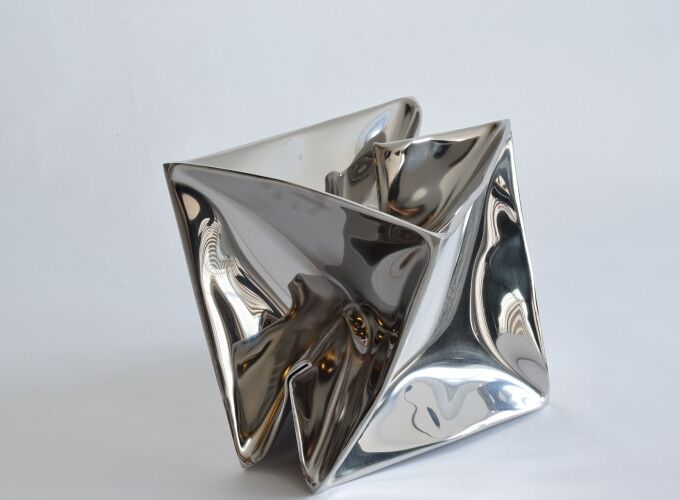 These include now famous artists such as Kenneth Martin, Morellet, Panamarenko, Pohl, Prantl and Winiarski. Exceptional works of art, lectures and performances fill the town. For Hilgemann ‘Gorinchem’ is an extraordinarily significant period in which his art reaches full maturity and he also establishes his international orientation. Hilgemann produces his first sculpture created through implosion in 1984 for the exhibition “Beelden aan de Linge” by collector Piet Cleveringa from the neighbouring town of Acquoy. He moves to Amsterdam the same year and from that moment on this visual language of imploded constructions will always typify the art of the 'air-smith' Ewerdt Hilgemann.